A Heritage and Information Training Day at Redbridge Museum with Sue Page, Penelope Stevenson, Maggie Brown, Diana Forster, Caroline Folaranmi and Joe Forster. On Friday 20th March, 2015 this training event took place as part of our Heritage Lottery Project, ‘Remembered Lives’. 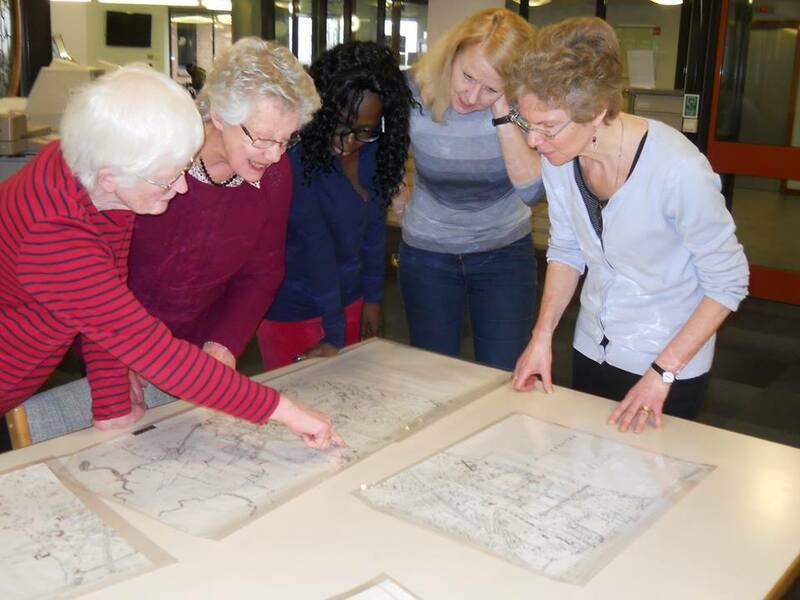 In the photo we are studying an early 19th Century map, where to our astonishment, we discovered that our Church was built on the site of a disused gravel pit! people who gave Wanstead its character.